This is a sample of a photo release form which gives you a clear idea the format of such a form and the segments required. This form can be used by anyone and you can even make changes to it, if need be. This form is used by a photographer or an agency to gain the complete copyright of a photograph from the model to use the picture, as and where they please. By signing the form, the model waives off all rights over the image. 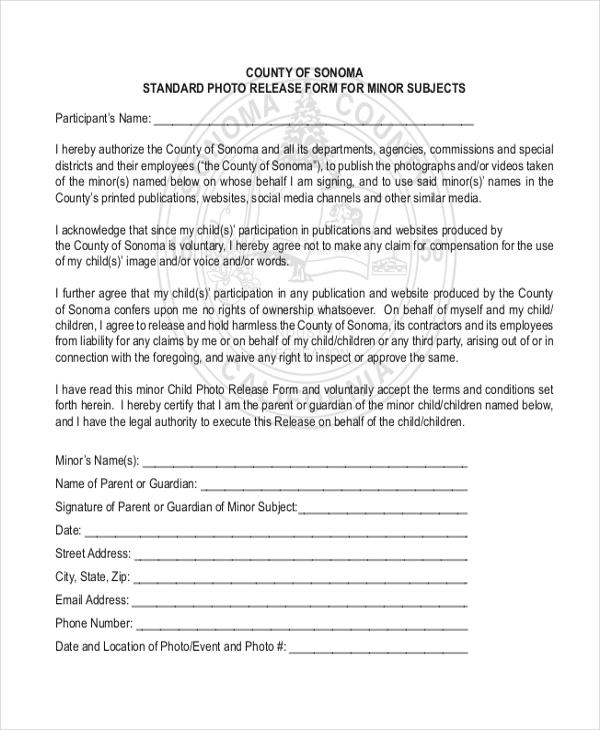 If a company intends to use the photograph of a minor in their campaign, they need to get a special photo release form for minors, signed from the parents of the model to secure permission to use the photographs of the minor. By getting a model or an artist sign this form, the agency or the photographer secures permission to use the photographs and videos of the person on various social channels and networks. 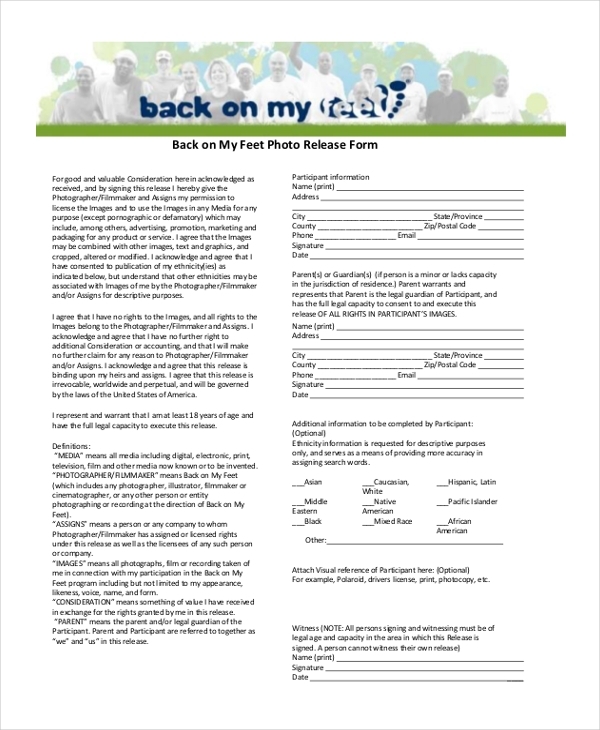 This is a standard design of a photo release form and comprises of all the crucial segments and subheads. The form can be used by a person just as it is or can be customized before use. Certain agencies that click images of people volunteering their services need to get a written permission from these people to allow them to use the photographs for various purposes. 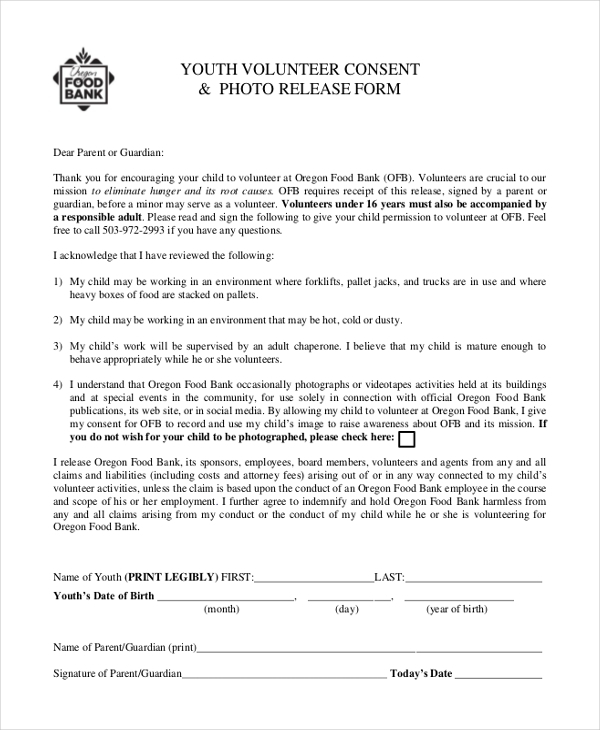 In these situations, a youth volunteer consent and photo release form in used. 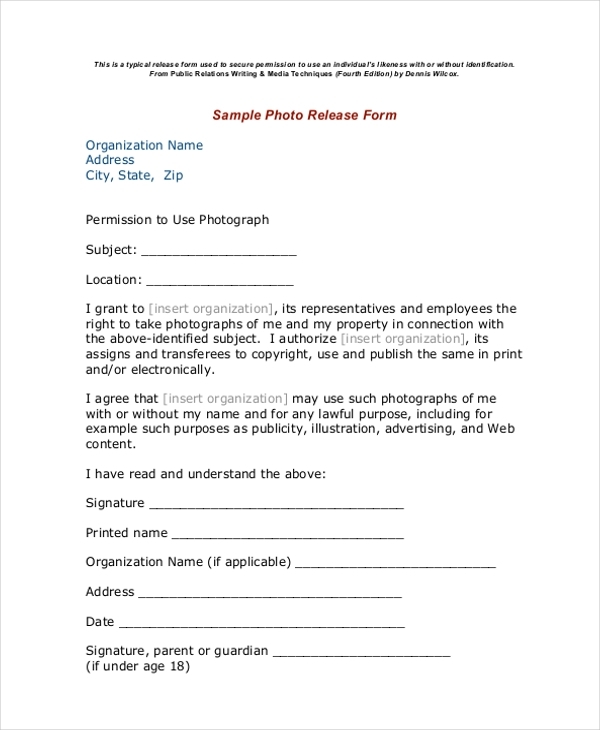 If fitness centers and sports clubs intend to use the pictures of their workout sessions and sporting events for other purposes, they need to get the people in these photographs to sign this photo release form and secure their permission. 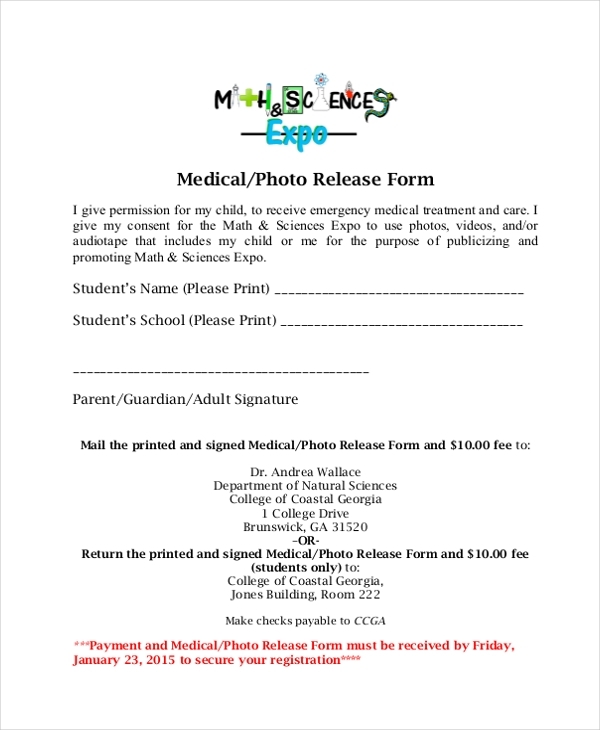 This form is used by medical centers, clinics and non-profit organizations to get the permission from the people whose photographs they might have clicked during a medical event. By securing their nod, these organizations can use these photos for various purposes. 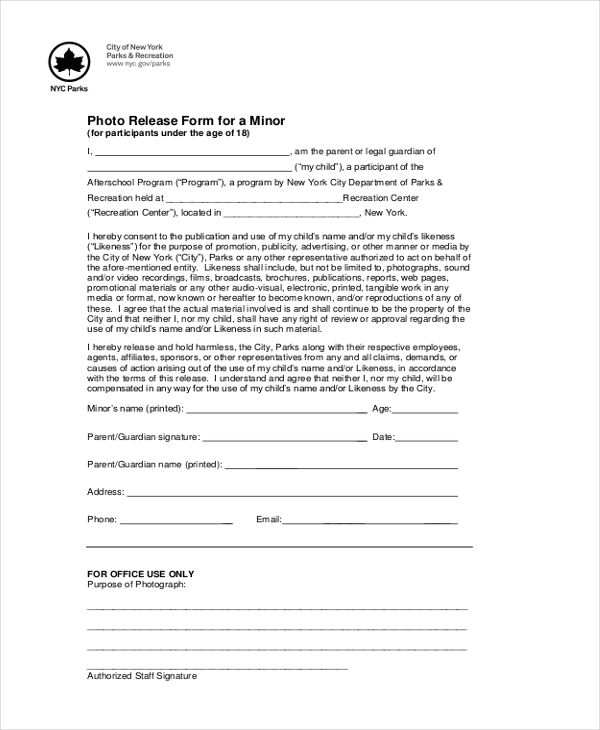 As the name indicates, this is the standard design of a photo release form that is used for minors. The form gives you an idea about the design of the form and the segments that should be included in it. 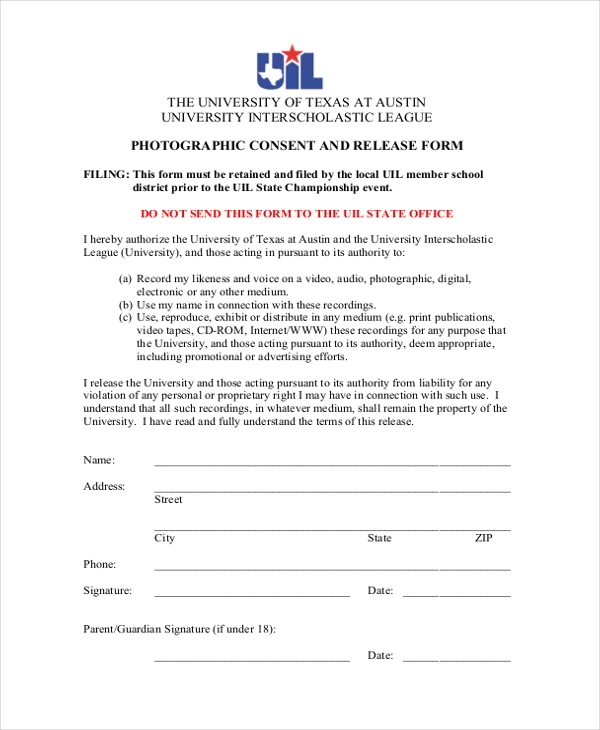 Used in schools and colleges, getting this form signed from the students or their parents, give the higher authorities a right to use the photos of the students for various purposes like brochures, advertising campaigns etc. This form is used by agencies that organize camps for people. 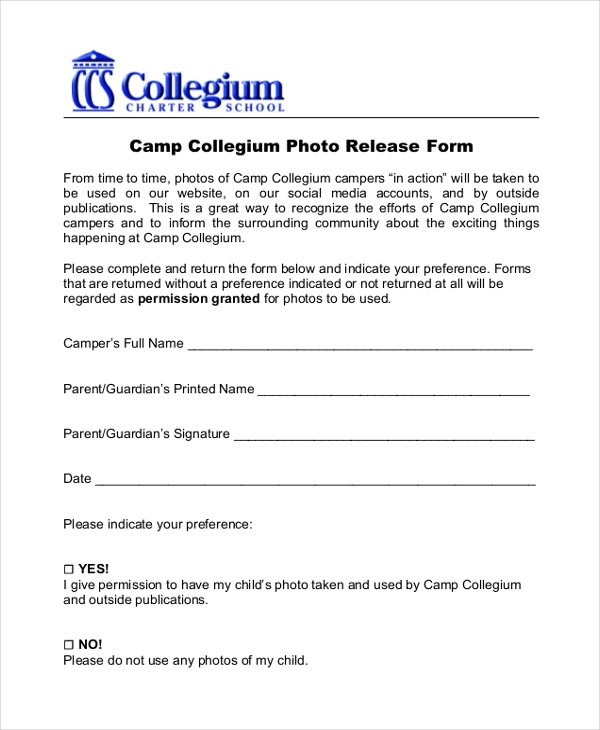 They use this form to gain permission from the people to use the photographs that may have been clicked during the course of the camp. Who should Use a Photo Release Form? What are the Benefits of Using a Photo Release Form? 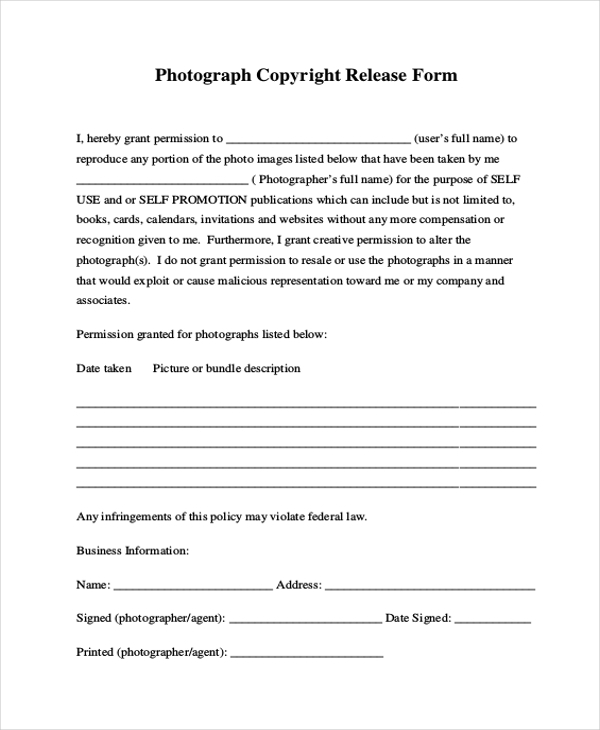 A photo release form when signed by the person concerned gives legal rights to an agency or photographer to use his/her photographs for various campaigns. Thus, using this form saves the agency from falling prey to any kind of legal hassles. Using a photo release form, both the parties can come up with some terms that should be followed by the other party, thus making the agreement an efficient and fruitful one. The photo release form is considered to be a valid proof in court and can be used to prove one’s innocence in a lawsuit. How can you Design a Photo Release Form? Since a photo release form is more or less a legal document, you need to draft this with a lot of care. In case, you are not sure how to do this and are running short of time, you can easily find an appropriate photo release form online from the huge collection available there. All you need to do is download the form, make necessary changes to it and it is ready to be used.